Posts 1 through 4 for WebDude's New Hat!!!!!!! 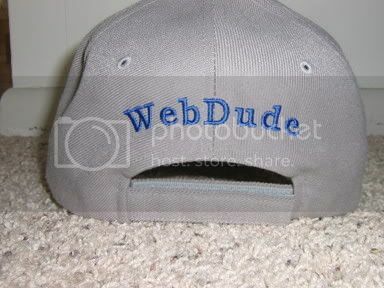 WebDude's New Hat!!!!!!! - - - 4 messages. Showing 1 through 4. 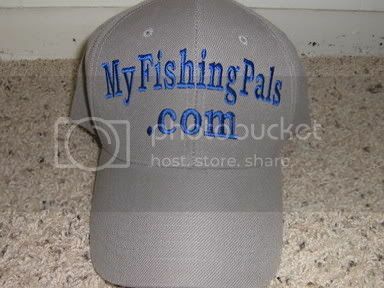 Here is another prototype MyFishingPals hat I had made for WebDude he doesn't get it until the Walleye opener though, it's a small token of appreciation from a few of us "TTT,BobberDown,Scumfrog" for the great site he has given us. 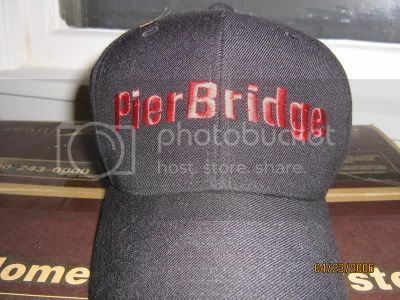 Anywho I didn't know the hat size for WebDude so instead of fitted hat like mine this one is adjustable. I would like some feedback on what you guy's think of the font size, color, placement, curvature and logo in general it's all subject to change. Here is the one I had made for myself in case you guy's missed it. I'm touched... but for some reason I new you were going to go out and do something like that. I was hoping to have hat's for your whole crew "doons, TapTapTap, Hungry Dean, WebDude" but I have to find a better place then the MOA and have them done a little cheaper.